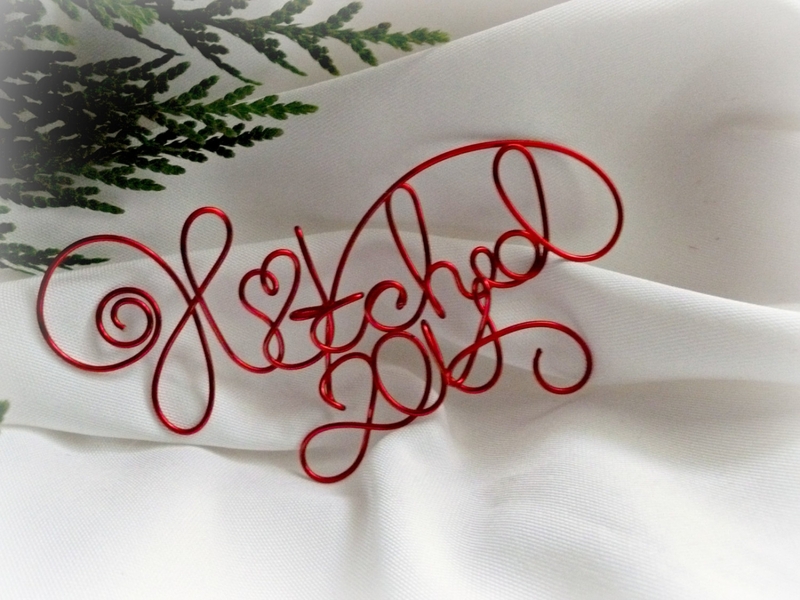 Hand scripted red hitched plus year ornament. Perfect for an Our First Christmas ornament. Fun new couple gift! A Handmade Affair original. For a unique and memorable PERSONALIZED gift idea this holiday, my handcrafted customized name ornaments are sure to WOW your gift recipient. Beautiful lasting color from a superior quality non tarnish enamel wire. Approx 3.5 inches wide (8.75 cm) but may vary due to the nature of handmade. Allow 1-2 business days for processing. Ships Priority with delivery confirmation.